53 g. / 1.86 oz. This cream is formulated to help reduce the appearance of deep facial expression lines. 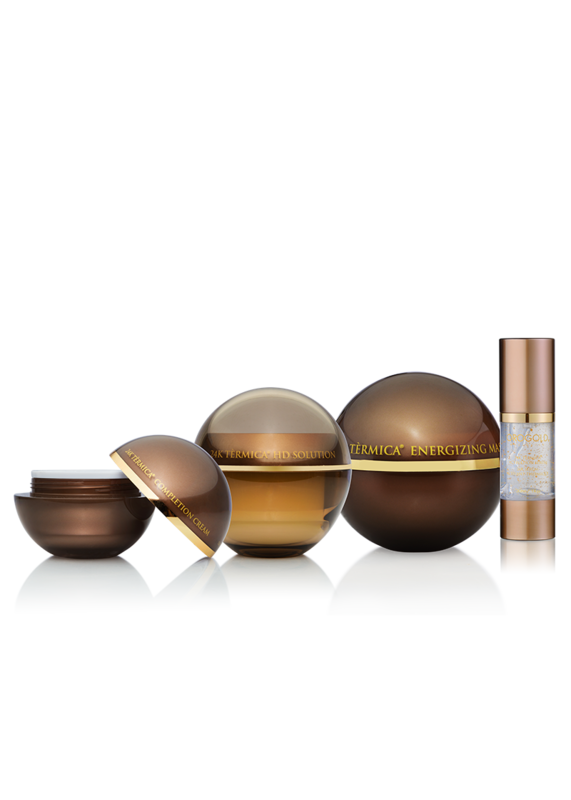 This unique formula will help you achieve softer, more radiant looking skin. 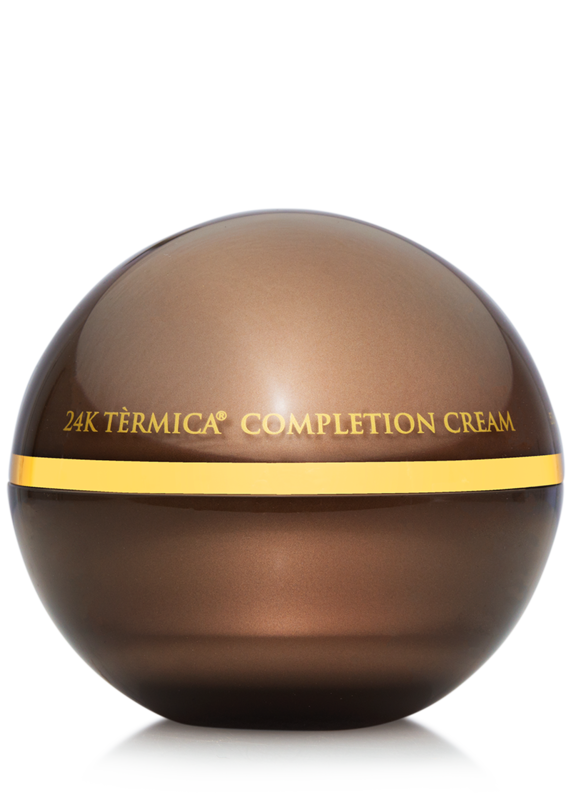 Tèrmica® Completion Cream is created with three main ingredients to help reduce the appearance of aging: Gold, Acetyl Hexapeptide-8, and Palmitoyl Oligopeptide. 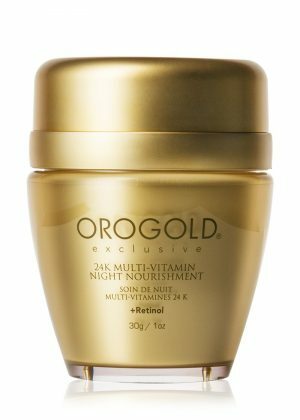 This effective blend of Gold and Acetyl Hexapeptide 3 helps reduce the appearance of wrinkles and fine lines. 50 ml. / 1.7 fl. oz. 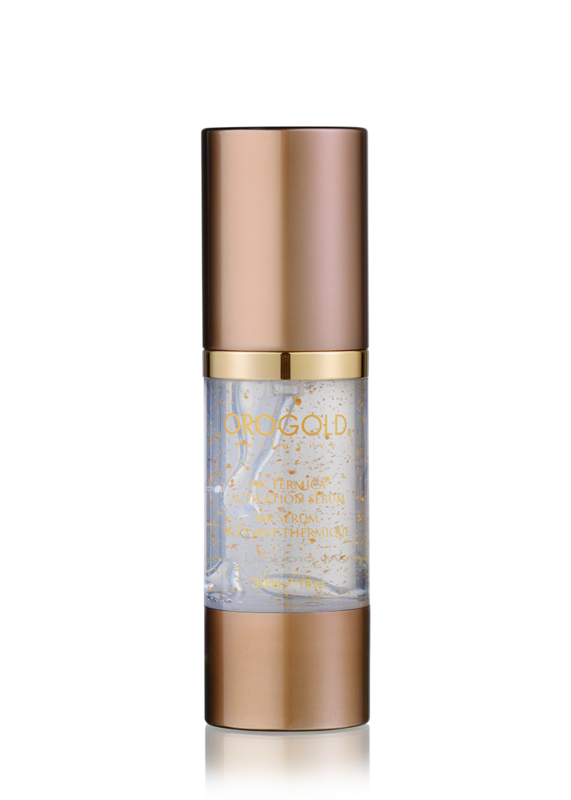 OROGOLD’s 24K Tèrmica® HD Solution encourages a smooth photo-finish to your complexion as it dramatically diminishes the appearance of pores and fine lines. This targeted treatment delivers powerful infusions of Hyaluronic Acid, Vitamin A Retinyl Palmitate and other botanical extracts to your skin, helping to immediately diffuse and refine imperfections for a more flawlessly smooth look and feel. 140 g. / 4.93 oz. This mask has a unique heating effect when mixed with water and rubbed onto skin. The heated ingredients will open the pores, finding their way into the deep layers of your skin. This mask will absorb dirt, oils and toxins from the deep tissues of your skin. This unique mask will help you achieve a radiant, fresh and young appearance. Tèrmica® Energizing Mask is formulated with Gold, Vitamins A (Retinyl Palmitate), C (Ascorbic Acid) & E (Tocopheryl Acetate), along with Algae extract. 24K Caviar Micro-Beads Cream is formulated with Gold, Caviar Extract, Vitamin E (Tocopheryl Acetate) and Vitamin A (Retinyl Palmitate) to reduce the appearance of fine lines and wrinkles. 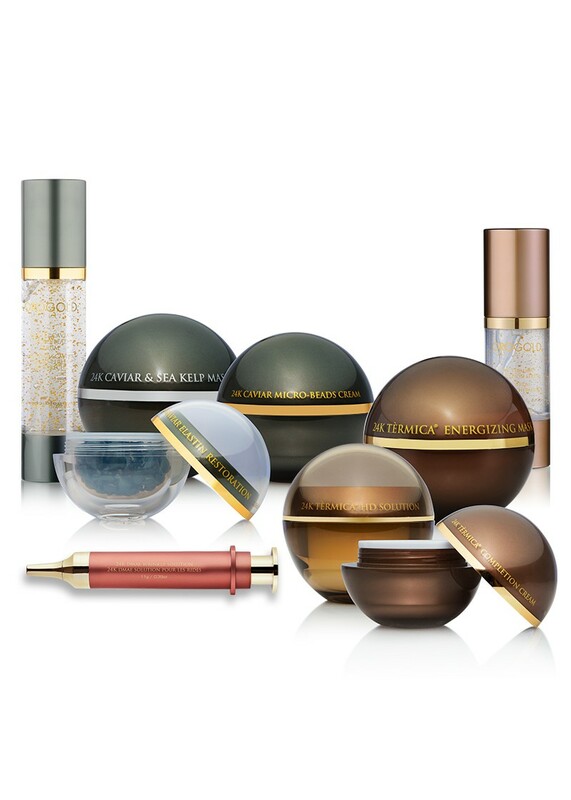 Caviar extract in itself is a very potent ingredient, which helps diminish the look of aging skin. This hydrating and lightweight serum is infused with Gold, Green Tea Extract (Camellia Sinensis Leaf) and Acetyl Hexapeptide-8 to reduce the appearance of wrinkles. 115 g. / 4.06 oz. 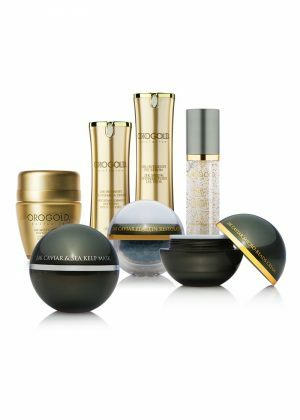 This rejuvenating mask was formulated with Soluble Collagen, Caviar Extract and Gold to reduce the look of wrinkles and to restore the skin’s youthful glow. This luxuriously textured serum helps reduce the appearance of wrinkles and expression lines while leaving your skin radiantly smooth. 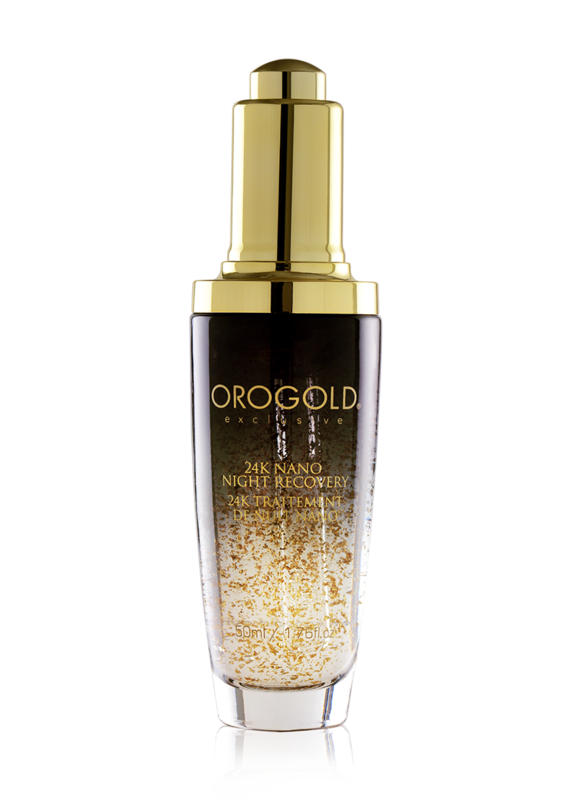 The combination of Gold and Sodium Hyaluronate gives your skin a plumped look while the flower extracts smooth the skin’s surface for a softer, younger look. 11 g. / 0.39 oz. Our innovative 24K DMAE Deep Wrinkle Tightening Solution immediately tightens and reduces the look of expression lines. 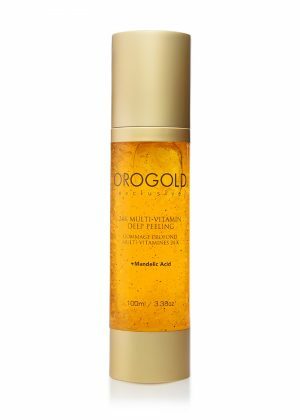 Infused with powerful ingredients such as DMAE, 24 Karat Gold and Vitamins, this non-greasy solution will help the skin to greatly reduce the appearance of loose, sagging skin.